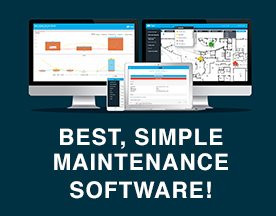 What is Online Building Maintenance Software? Online Building Maintenance Software usually consists of a Computerized Maintenance Management System (CMMS) that enables easy tracking and management of company assets to increase ROI and decrease general costs of operations when performing maintenance tasks for the building or sites a company operates in. The Building Maintenance Software here is offered under the SaaS (Software as a Service) model, meaning that the software is web based, hosted on the Cloud and can be accessed when needed through a client or web browser. If you’re looking for online software similar to Building Maintenance Software, consider our Business Management or Business Process Management Software categories.